Brighton’s Michael Foguth was featured in a recent article on Realtor.com. Click here to read the article on Realtor.com or you can read the article below. A mortgage is probably the largest debt you’ll ever have, and paying it off is a significant achievement. But credit bureaus like Equifax, Experian, and TransUnion might not be as thrilled. “Paying off any debt will certainly affect your credit score, and your mortgage is no exception,” says Michael Mesa, branch manager and certified mortgage planning specialist at Fairway Independent Mortgage Corp in Lacey, WA. Depending on various factors, this act of financial responsibility could increase or decrease your credit score. How Long Does it Take to Build a Credit History from Scratch? It’s hard to pin a credit score number on the effects of paying off your mortgage. “The first thing to remember is that the formulas for computing credit score are proprietary, so we are making educated guesses at the effects of any one item on a person’s credit score,” says James Philpot, a certified financial planner and associate professor of finance and general business at Missouri State University. “The second thing to remember is that when we try to answer questions like ‘What is the effect of X on my credit score,’ we are assuming that we are comparing two credit customers who are identical in all respects except the variable in question—and this is almost never the case,” he adds. As crazy as it seems, paying off what is likely your largest installment debt might not, in fact, send your FICO score through the roof. Philpot explains that if you don’t have a balanced mix of revolving to installment debt and a good length of time that credit has been established—and is still open—your score may dip slightly. 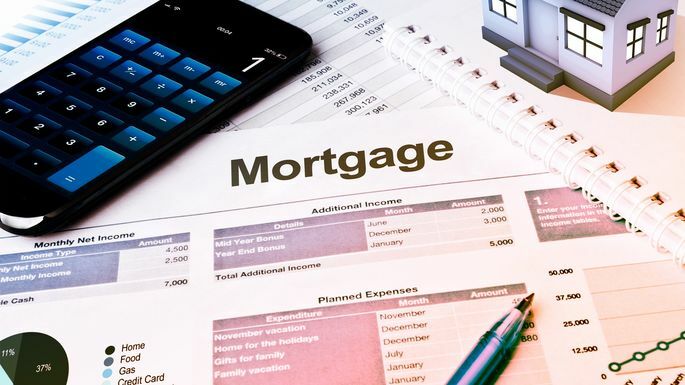 “While minor, there could be a negative impact if your mortgage was the only loan in the installment category, as the overall credit mix of your credit picture accounts for 10% of your score,” says David Bakke at MoneyCrashers. And credit type isn’t the only category that could negatively affect your score. “Your score may also see a modest drop when the loan is paid off, because it takes the mortgage off of the length of credit portion of your score, which accounts for 15% of your score,” Bakke says. So, if your mortgage is your only installment loan, you might want to reconsider paying it off. “It may be better for your credit score in the long run if you keep your installment loan open for its full term while continuing to make regular, timely payments,” says Theresa Williams-Barrett, vice president of consumer loans and loan administration at Affinity Federal Credit Union. On the other hand, paying off your mortgage might boost your credit score. “If you do have other debt that you’re paying on every month and showing creditors that you are a responsible borrower, paying off your mortgage may show as a positive because your debt-to-income ratio may be higher,” says Michael Foguth, founder of Foguth Financial Group in Brighton, MI. Also, there is a basic credit advantage to paying off such a large amount. For example, whenever you apply for a loan, creditors want to know how much debt you already have. Moving a mortgage off your plate significantly reduces your total debt amount, which can make you more attractive to creditors. Before making any big financial moves, find out what’s involved in paying off your mortgage. “Clarify with your lending institution if there are any prepayment penalties,” says Williams-Barrett. Also, make sure you have a nice savings cushion before paying more on your mortgage. “It’s important to save those would-be extra mortgage payments for emergencies, even if it means avoiding a year or two of interest payments,” Williams-Barrett says.